We’ve always known just how flexible the Android platform. It is, in fact, one its greatest strengths. Versatility and being open to all is one of the key benefits of the OS – quite unlike the defining characteristics of other mobile operating systems. And now Android has found its way onto one of the most unlikely devices – Sony’s ‘most people thought it was dead’ Walkman. The new F800 series is web-enabled (isn’t everything?) and features Android 4.0 ‘Ice Cream Sandwich’. It’s a little surprising that a device so new wouldn’t be sporting Jelly Bean, but still, the fact that a Sony product is boasting an Android OS at all is great news for the platform. Much like Apple have done with their iPod line of devices, the new Sony Walkman F800 is essentially an Android phone, minus the phone. The OS comes with all the default apps that you’d expect – email, maps, and so on – so it doesn’t look like Sony have actually modified it much from its vanilla form. And that’s no bad thing, it’s a great operating system on its own. Especially when you consider what issues messing with the OS can cause (ending up on a ‘Worst Android Devices’ list, for example). However, we do expect that Sony have included their own proprietary sound technologies somewhere to guarantee sound quality and so on. It is a dedicated music device, after all, and needs to have an edge over the other Android devices out there. 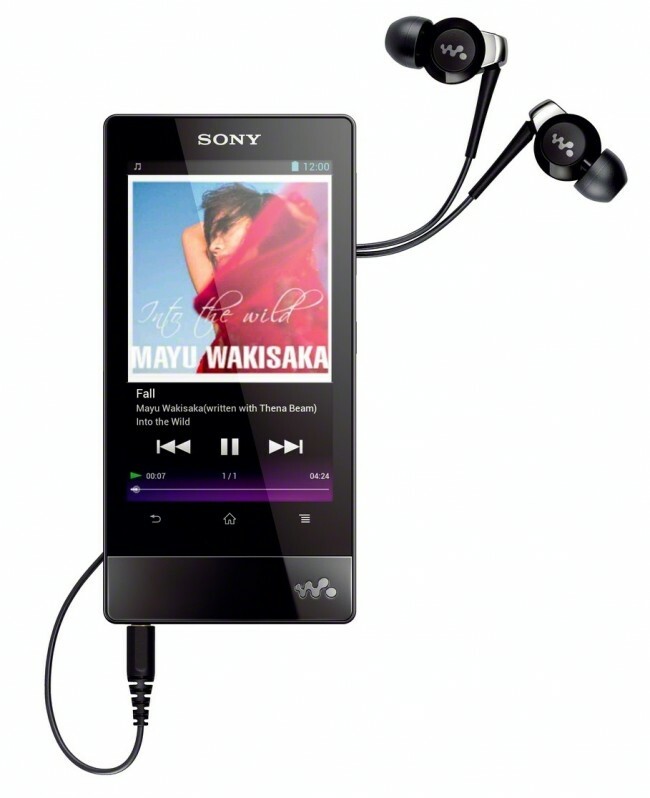 The Sony Walkman F800 will also include a 3.5 inch multi-touch LCD screen and access to Google Play to that users can download apps to their heart’s content. The device will apparently offer 20 hours of music playback and around 4 hours for video. Can the new Sony Walkman compete with the iPod? Even with an Android operating system built in, as well as (and we’re quoting) “S-Master MX Digital Amplifier and five Clear Audio technologies”, can a new Walkman actually compete with Apple’s iPod? We’ve already seen Microsoft attempt to take on the crown with their ill-fated Zune (which is somehow still going), and the sales figures speak for themselves. Consumers tend to choose the Apple product because it offers a more well-rounded user experience. More specifically, it lets users have the experience of the iPhone, without shelling out the cash. So if the new Walkman has Android built in, shouldn’t that actually attract people looking for the same thing? With any luck, yes it will. People who don’t already have an Android device will now have the option to experience the Android OS without having to have it on their phone – although why they don’t already have an Android phone is anyone’s guess. One of the things that makes the Android platform so attractive to consumers is that, if you choose the right handset, the barriers to entry are very low - making it appealing for individuals and business owners alike. The same goes for Apple’s iPod: people buy it because it gives them a ‘premium’ experience at a lower price. Unfortunately, it seems that Sony may have priced themselves out of this market. The new Walkman F800 will retail at $269 in the United States, which is a considerably larger amount than the lower end of the Android phone range (where you’d be looking at around $100 - $150). That means that the new Walkman will launch as a premium device at a premium price. At that kind of money, who will buy it just to experience the Android operating system? Not many people, we’re willing to bet. So perhaps Sony is setting their sights a little too high with this one. The Android OS is great because it lets people experience top-notch mobile computing at a range of price points. If you’re the type of person that doesn’t want to have to take out mobile phone insurance just to leave your front door, the Android OS is perfect because many of the handsets are on the budget end. These devices mean that you don’t need insurance policies, or at least not those with the higher premiums. With Sony’s new Android-powered Walkman, it’s great news that a big company like Sony are embracing Android tech, but it seems a shame that they may have priced this new innovation a little bit too high. Ruth Leston is a tech writer based in London who regularly heads to Asia for industry events and to play with the latest gadgets set to find their way onto our shelves.